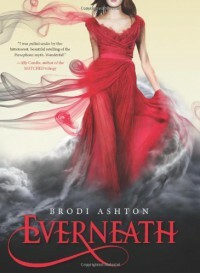 I had heard a lot of good things about Everneath before I picked it up from the library so I was expecting a lot when I got to reading it. While it took me a little while to get into it, i am so glad i persevered because in the end it became quite a compelling read. At first glance, to me at least, the synopsis reads like a sequel. I kept checking to see if it was actually a book 2 in a series. The beginning of the book felt a little like this as well and I felt like I had missed something when it started and that feeling took a little while to shake. Brodi Ashton juxtaposes the past and the present so that we can see the events leading up to the feed and how it connects with the now, in which Nikki has returned to the surface. At first this was a little confusing ( me, with my issues of having missed something) but as story progressed, this juxtaposition actually made the story more cohesive and added to the tension of the story as you learned what had gone before and how it related to present events. I loved the connection between Nikki and Jack and though the reason for her leaving in the first place is never really resolved, I loved the fact that he was constantly there for her. As mentioned, it took me a little while to get into this story as I felt like in some ways I spent the first third of the book 'catching up' however as the story went on I found myself turning the pages quicker and quicker and I think I read the last 200 or so pages in less time than it took me to read the first 100. There are a lot of stories that play around with the myth of Hades and Persephone around at the moment and I liked this spin on it with the immortals feeding on humans and making out the underworld ( or Everneath) to not be the romantic place of so many of these stories and making Cole definitely not the hero. 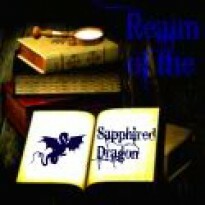 Overall I really enjoyed this book and am ever so glad there is a sequel forthcoming as the ending... Well let's just say I am glad the is another book coming. One which I am placing on my Wishlist right now as soon as I finish this review. It is only the slow beginning that stops this from getting 5 stars. 4 stars for this great debut!